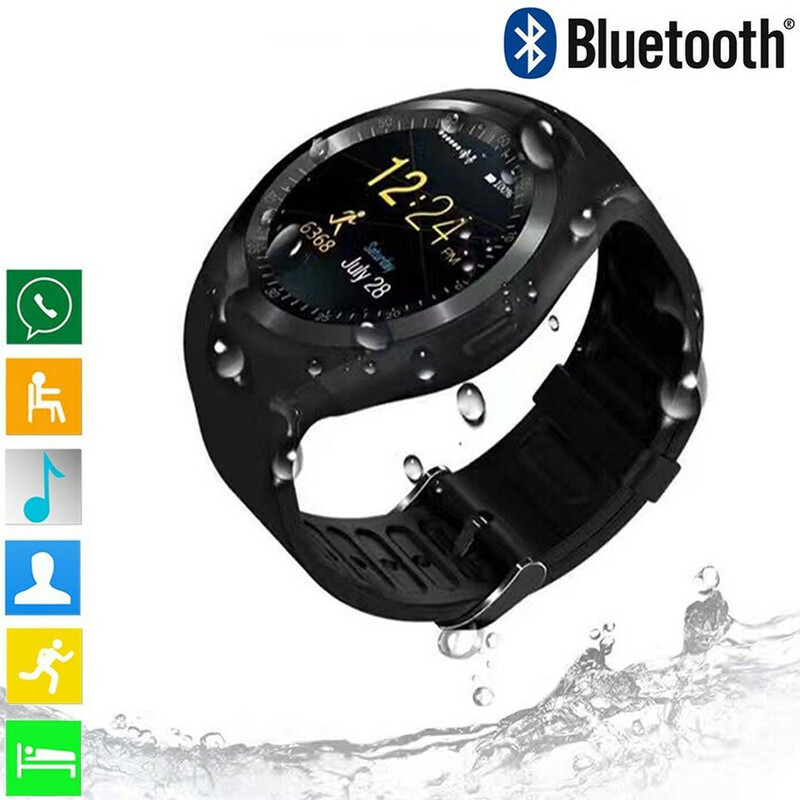 As an indispensable health and fitness companion, Y1 Smart Watch can not only keep time, but also motivate you to be more active and achieve a healthy life. 1.5 inch high resolution screen give you the ultimate visual enjoyment and touch experience. Built-in high performance battery ensures a long time standby. It also support insert SIM card, you can dial and answer calls, check messages. Function Answer Call, Calendar, Dial Call, Interactive Music, Alarm Clock, Passometer, Sleep Tracker, 24 hour instruction, G-sensor Language Russian, Spanish, Portuguese, Englishu can dial and answer calls, check messages.